For all of you wondering when there was finally going to be an official “Foodbeast” item in a restaurant… that day is now here. 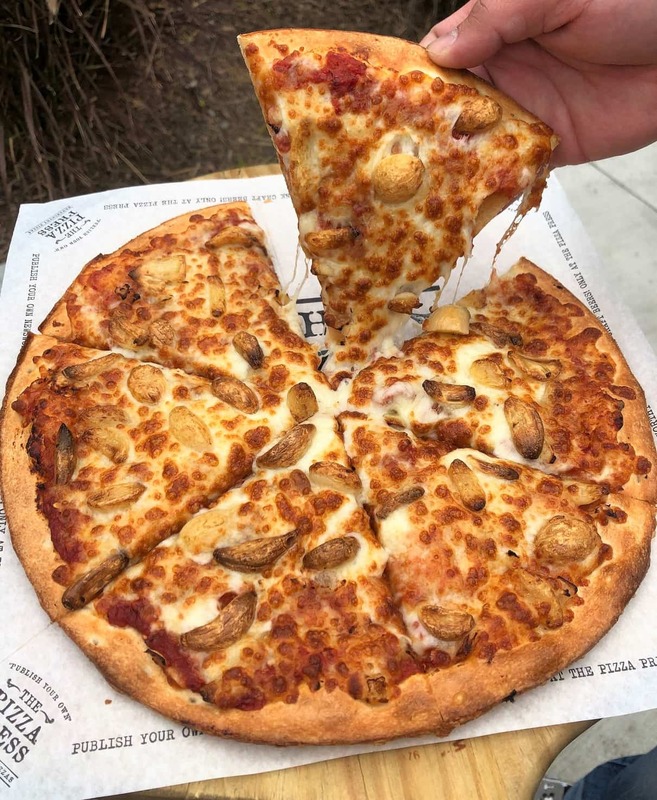 Foodbeast has teamed up with Anaheim-based chain The Pizza Press to create a custom Foodbeast pizza on their official menu. The Pizza Press is known for naming all of their signature pies after publications like the Times, Chronicle, etc. 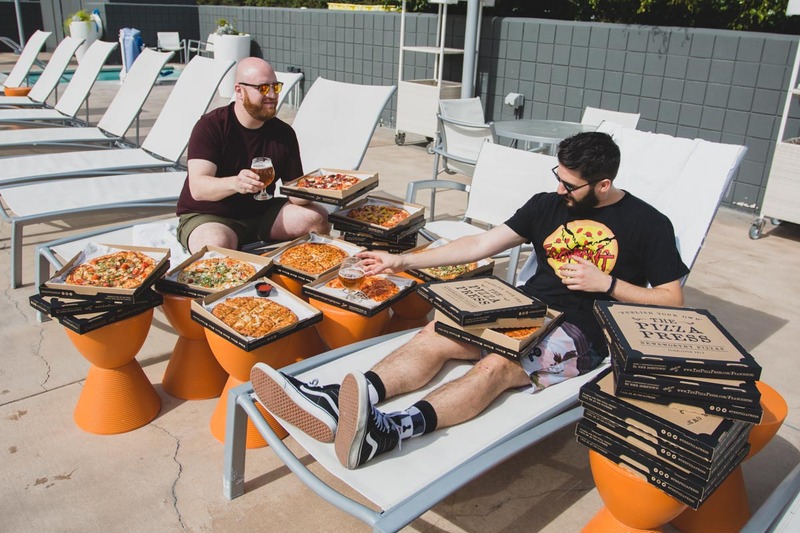 Since Foodbeast is the “stinkiest food publication” out there, according to Foodbeast’s own Elie Ayrouth, the “Stinky Foodbeast” pizza takes that definition literally while making a pie that garlic lovers will salivate over and Dracula will run in fear from. The “Stinky Foodbeast” is loaded with spicy tomato sauce, caramelized onions, chopped fresh garlic, and a handful of whole roasted garlic cloves. All of that is topped with a deluge of mozzarella cheese that’ll help disguise some of the garlic, giving you a flavor punch of surprise every now and then when you bite into a slice. If you want your pie EXTRA Stinky, you can opt for whole garlic cloves as toppings on your pizza, as well. You can purchase this entire package starting at $149 per night**. Special Bonus: Stay multiple nights and receive a $20 Food & Beverage credit per additional night booked beyond the first night, and the option to stay in one of The Anaheim Hotel’s Executive or Park View rooms. If you’re curious as to what else the build-your-own chain has to offer, you can view the full episode of Foodbeast’s Going In that features the Pizza Press in the above video. **Prices are subject to availability and blackouts at time of booking. Special promotion cannot be combined with any other offers.